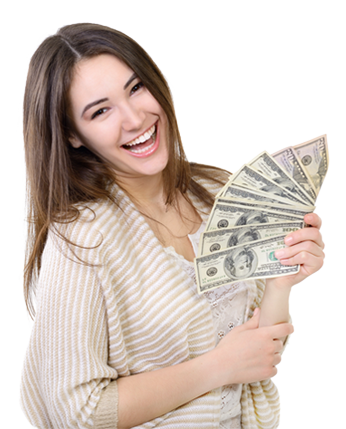 Santa Ana Car Title Loans is all about making certain our customers receive the fast cash when they need it most. Our professional staff has been providing car title loans in Santa Ana, CA for a long time. We have the experience and industry savvy to get you the cash you need in a hurry. We will never submit our customers to the 3rd degree about their credit history and we will not ask them embarrassing questions that serve no purpose. We are part of the solution, not part of the problem. We know how the loan process works with banks and credit unions. They run you through the ringers and by the time you get through the process you forget what you were getting the loan for. If you have great credit then your bank could be a credible option, but for those lacking the immaculate credit rating the auto title loan is a feasible alternative. The list of requirements to apply and secure auto title loans is hardly worth mentioning in comparison to loans through other financial institutions. First of all you can apply effortlessly online, in person or over the phone. All we need is the basic information about you and your vehicle. There are several conditions that must be met. You must bring us a clear car title listed in your name. We would need to verify identification, which would require your driver’s license. In addition, the car listed on your title would need to be insured. The vehicle on the title you are using for collateral must also be in quality condition. You will need to provide Santa Ana Car Title Loans with proof of some type of income that would justify your ability to repay the title loan. This process can be completed very quickly and you can drive your car off the lot with cash in hand.Bad credit loans are what we do best. Let us help you with a car title loan today. Fast Cash Within One Hour!